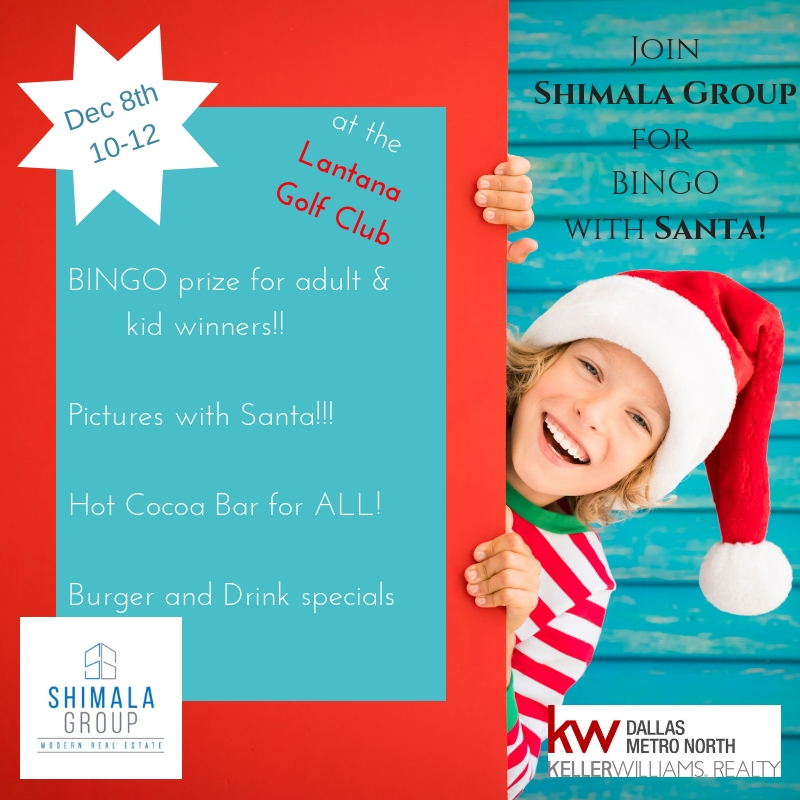 FREE BINGO with Santa and HOT COCOA!! Come join Shimala Group to celebrate the most wonderful season of all!!! We will be hosting Santa Claus so bring your camera’s to take pictures with the kiddos! We have BINGO with prizes for BOTH the kids and adults for each game. 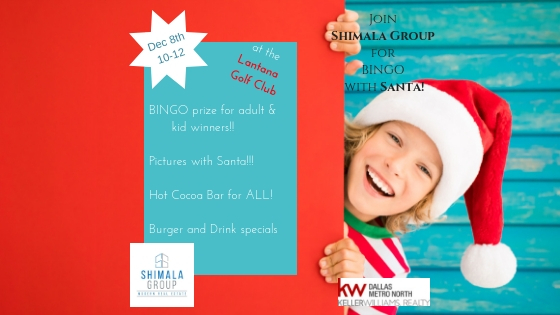 The Lantana Golf Club will have burger and drink specials and Shimala Group will have the BEST COCOA bar yet!! !